Link building is one of the most important SEO strategies. It’s a great way to build the quality of your domain which will help your website rank. Those two sentences probably left you with a lot of questions such as what’s link building, how does it help my website and how can I build links? Fear not, we’re here to help. Below is our guild to help you understand link building, its important and some of the strategies SEOs use to build links to websites. Let’s get started with the most obvious question: what’s link building. Link building is an SEO strategy to get other websites to link back to yours. By doing this, you’re building the strength of your website in the eyes of Google and other search engines. The way Google determines the quality of your website is by the quality of the links directed to your domain. When you get links from sites that Google determines authoritative, your site becomes more authoritative. Your site’s authority is ranked on a scale of 0-100 called Domain Authority (calculated by Moz). What does having a high domain authority do for your website? It’s one of the main ways Google determines its rankings for searches. If you want to rank high in Google’s search for specific keywords, you’ll want relevant links to the page you intend to rank. There’s another metric calculated by Moz called page authority. While domain authority determines the overall quality of your website, page authority determines that overall quality of a specific page of your website. You’re probably wondering, why is this important? If the domain is a high quality, why does a specific page mater? The page authority lets you know the quality of links going to a specific page. If you want this page to rank for a specific keyword, you’re going to want links going to this specific page. Like domain authority, your website’s page authority is measured on a scale of 1 to 100. The higher the page authority, the stronger that specific page is and the more likely it is to rank for your targeted keywords. Some people don’t use Moz to check their link quality. Another often used tool is Majestic. Majestic doesn’t use the same metrics as Moz so it’s important you to keep their metrics in mind as well; they use Trust Flow and Citation Flow. Trust flow is the quality of the links directed to your website on a scale of 0 to 100. Citation flow is the measurement Majestic uses for the number of links on your website. This is also on a scale of 0 to 100. You want your Trust and Citation Flows to be similar numbers – when the difference between them, there could be problems. When you have a high Trust Flow but low Citation Flow, you have very few links but they’re high quality. This isn’t a huge problem but it means you need to continue to drive your link building efforts. However, when you have a low Trust Flow but high Citation Flow, you have a real problem. This means that you have a lot of low quality links meaning that many are spammy. You need to focus on building backlinks on more authoritative websites with high trust flows. Another common link building tool is Ahrefs. Much like Moz and Majestic, it helps you find strong websites to earn a backlink and monitor the quality of your website’s link profile. Also, there are a couple unique metrics you should know if you plan on using Ahrefs. The two metrics are called URL Rank (UR) and Domain Rank (DR). UR is measured on a scale of 1 to 100 and it shows the quality of your link profile. It also takes into consideration both internal and external links. UR gives you an idea of how likely your website is to rank. DR on the other hand shows that strength of your domain. Much like UR, DR is measured on a scale of 1 to 100. You use DR to determine if a site is worth building backlinks from. The better the DR, the more you’ll want a backlink – it’s like the domain authority of Ahrefs. PageRank is a calculation made by Google to determine the quality and quantity of backlinks to your page. Your site is ranked on a scale of 0 to 10 and it determines the importance of your website. Google assumes that a website that has more links is more important. In other words, the more quality links you have, the more likely you are to rank well for keywords that you want to show up for. PageRank is especially important because it’s measured by Google, which is the search engine where you’re trying to rank. While everything above is specific to certain tools, there are some universal metrics that help measure the quality of your link profile. The most important universal metric is referring domains which reflects the amount of unique domains linking to your website. Why is this important? Wouldn’t there be one link for every domain? No, in fact, some sites auto generate 1,000s of links when you think you’re receiving only one. You want to diversify the amount of domains linking to your website. The closers your backlinks and referring domains are to being a 1:1 ratio, the better your link profile looks to Google. You’re probably wondering, what makes a strong backlink? 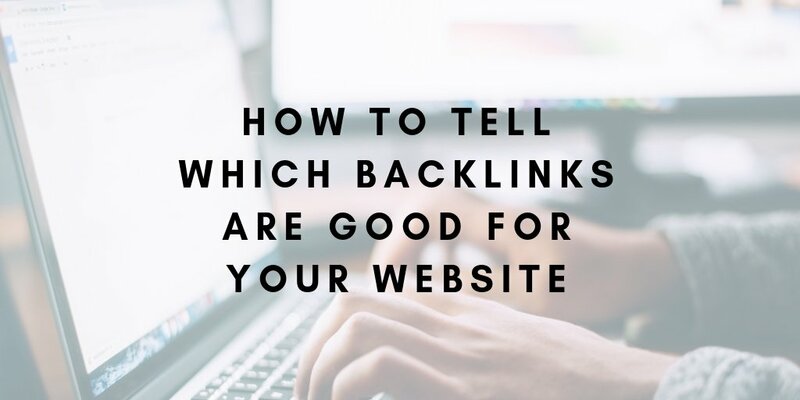 How do you know the backlinks to your website is going to help you? We have 7 things you need to look into before you try to get a backlink from a website. Whether you’re using Moz, Majestic or Ahrefs, you want to find a site that’s high quality – the higher the quality, the better the link profile. The metrics you’ll be looking into would either be domain authority, trust flow or DR.
As we mentioned above, these metrics show off the quality of a domain in terms of receiving a backlink. No matter which one you’re using, you need to know what it is before trying to get a link from a website. If you don’t, you may be getting a link from a website that Google finds spammy. While any high quality link is great, the more relevant the linking website is to your page, the better. More relevant backlinks help you rank for specific keywords. Check out the content on the page you’re trying to build a link on and make sure that it’s relevant to your website. Anchor text is the text that’s embedded with a link. Many people don’t think too much about the anchor text but choosing the right text to embed with a link is important. Much like the relevancy of the page, you want the anchor text to be relevant to your website – preferably similar to the keyword of the page that getying a backlink. This gives Google a preview of the page and helps you rank for the keyword. That being said, you don’t want the anchor text to be the exact same for all of your links. Google could consider these links spam and won’t rank you as high. It seems minor, but in the long run, you’ll end up rank better when you vary your anchor text. There are two types of links that you need to keep in mind when you’re link building: dofollow and nofollow links. Dofollow links are links that send the Googlebots to your website when they find your link on another website. On the other hand, the Googlebots stay on the website they’re already crawling if they find a nofollow link to your website. It’s obvious that you’d much rather get dofollow links when you’re backlink building. This is because the Googlebots will crawl your website immediately and will see the relevance of your page to linking website and anchor text. It also means that the rest of your website will be crawled by Google (if you have proper interlinks – we’ll get to that later in the article). That being said, don’t scoff at nofollow links. All links from authoritative websites will help your site grow. Google still recognizes that you received a backlink from a reputable, authoritative website. One thing you should never do is buy links. Sure, it’ll make your job easy and it may even work for a short time, but many of these links aren’t very authoritative. In fact, they’re usually considered spam. What’s wrong with a few spam links? At first, nothing. In fact, you may see a slight uptick in traffic to your website. However, Googlebots are very smart and will recognize these are spam links. When you have too many of these links directing back to your website, you’ll be penalized. One thing many people don’t consider is the page you’re having link to on your website. In fact, you’ll notice that most links are going to your homepage. 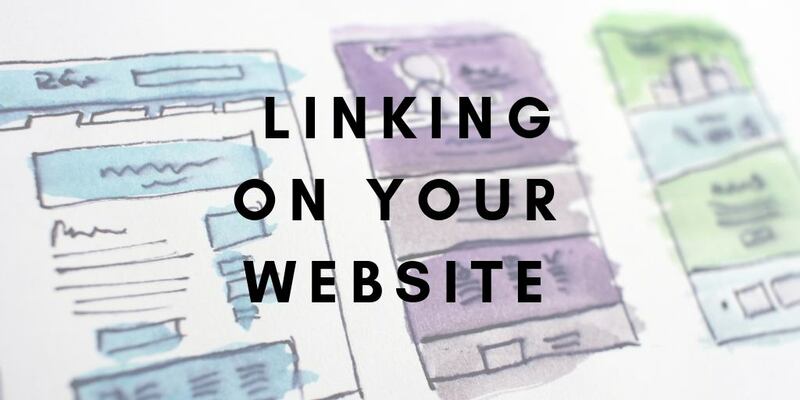 While there’s nothing wrong with linking to your homepage since that’s typically the page with the most interlinks, we recommend adding links to other, deeper pages on your website. Why is it important to link out to different pages of your website? If you receive a link to a specific page on your website, the Googlebots will crawl this specific page and building up that’s sites page authority. This will help more pages other than your homepage rank organically for your intended keywords. While all links are great, not all links are created equal. Some types of links are more powerful than others. For instance, .edu and .gov links (education and government) are typically higher quality domains. Links from these sites are extremely strong. Since these are domains associated with the government or college, they typically have many powerful backlinks directed towards their website, causing them to have a high domain authority, trust flow and DR.
Other common types of links are .com (communication), .org (organization) and .net (NETwork). There are also country specific domains such as .ca (Canada), .jp (Japan) and .eu (European Union). All of these domains vary in strength based on how much they focus on their link building. You’re going to want to check their domain authority before receiving a link from them. 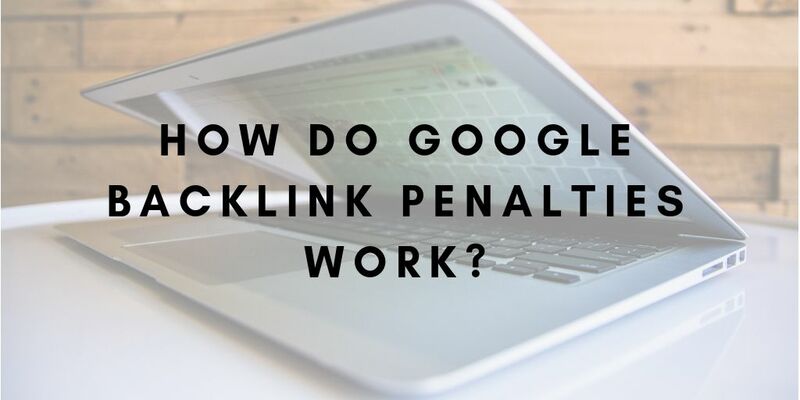 How Do Google Backlink Penalties Work? We’ve mentioned Google penalties several times in this article already but you’re probably wondering how Google can penalize your website. Since Google puts a high priority on a site’s link profile when rankings them, spam links will have a major affect. Google uses links to determine how authoritative a website is and when it sees spam links in your profile, Google feels you haven’t earned your authority. In fact, you’re trying to cheat the algorithm. To prevent you from continuing the practice of acquiring spam links, they’ll penalize your website. When your website is penalized, you’re not notified by Google. If you’re checking your website’s SEO metrics regularly and not seeing any growth, it’s safe to assume that you’ve been penalized. You may even see consistent decreases in keywords you’re ranking for or website traffic. Google penalties typically make it harder or even impossible to rank organically for highly searched keywords. Now that you know the basics of link building, it’s time to get into the nitty-gritty of strategies to acquire more links. There’s no limit to how you can build links to your website but there are right and wrong ways. We’ve broken it down into three categories: white hat, gray hat and black hat. Let’s start with white hat link building strategies. White hat link building is the safest way to build links because you won’t be at risk of being penalized. While these are the most difficult methods of acquiring links, you’ll get the highest quality. Below, you’ll find 11 white hat link building strategies that are sure to get you high quality links. It’s important to note that you don’t need to do all of these strategies – only do the ones where you’re finding success. One of the most common forms of white hat link building is guest post outreach. This is when you send an email out to a website within your industry or niche and ask if you can write a post for their blog. In this blog post, you should have a link or two back to your website. Why would you go through the effort of reaching out for a single backlink? For starters, you’re able to get a link on a site that you chose. That means it’ll be high quality and within your niche/industry. While it doesn’t seem like much, being able to choose the website you get a link to isn’t something that happens with all of these link building strategies. Also, you know that the backlink will be in the content and where you place it. You don’t have to worry about it being relegated to the bottom of the text, in a profile or on a sidebar. Google puts relevance on links within the main content of the page. Plus, you’ll be able to choose the anchor text which is a huge benefit. There’s only one real problem with guest post outreach – it takes a lot of time. You’ll need to start by finding websites within your industry that have a domain authority/DR/trust flow that you’d feel comfortable getting a link from. Once you’ve found the websites that makes the most sense to get a link from, you’ll need to check a few things. First, make sure that these sites accept guest posts. If they don’t accept guest posts, you should move on from the site. You’ll also need to find contact information from a decision maker on the content of the site. This could be a head editor, webmaster, content manager or head of marketing. You should also find their name to address them personally. If there are no people to contact on the website, settle for a contact form. It’s important that you track who you’ve already emailed, how many times you emailed, if your received a response and contact information. Put all of this information in an Excel document. You need to think about the structure of your email before you send anything out. You want to make it personal, ask them for what you want, give them topics you can write about and offer an example of some of your work. I just finished reading your article called [Article Title You Read] and I really enjoyed the part about [A Part of the Article]. My name is [Your Name] and I represent [Name of Your Company]. I’m reaching out because I think our content would fit well on your website and we’d love to write a guest post for you. You can see an example of our writing on our blog here: [URL]. If you have any questions, please don’t hesitate to ask. Thank you and I look forward to working with you. Is Guest Post Outreach Right for You? While guest post outreach is time consuming and difficult, we believe everyone should try and get a few guest post links. They end up being high quality, in content links that is on a relevant website. 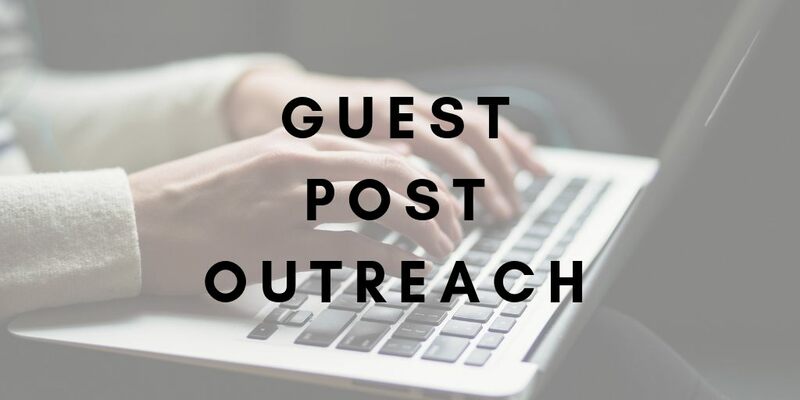 Guest post outreach is definitely worth your time! The purpose of broken backlink building is similar to content outreach – get links within the content of industry relevant websites. A broken link is a link that takes you to a 404 error page which means the page can’t be found/no longer exists. Your goal is to find websites with broken links and reach out to them offering similar content to what they were linking to originally. This works because you’re not asking for anything – you’re actually offering something to them by fixing a broken link on their website. However, is what you’re offering worth anything to them? You’re essential fixing their website for them. No one likes broken links, especially Google. When a site has broken links, Google is less likely to rank it on the first page and can even penalize the site. Also, it takes away from the credibility of a website when it has broken links. When you’re giving stats or siting a source, you seem more credible and that you’ve done your research. However, if the link is broken, you lose a lot of credibility. Keep in mind, a huge purpose for content on a website is to build trust with potential clients. You lose that with a broken link to a major source. You can use these facts as leverage when asking to fix a broken link with one of your own. Don’t be afraid to mention the problems that are associated with broken links and how you’ll be able to fix them with a link to similar content. In fact, broken backlink building takes a much longer time than even guest post outreach. Finding broken links is very difficult and a low success rate may be discouraging at first. However, if you keep plugging away, you’ll going to get some great links to your site. In fact, you’ll find websites linking out to form competitors meaning that you’re getting a link from a trusted site in your industry. You need to ask yourself: are the links worth the time you put into the search? 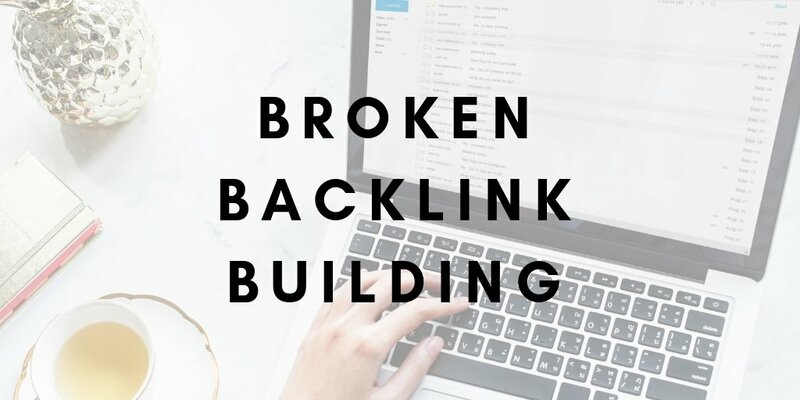 As we’ve already mentioned, finding broken links on relevant pages is the most difficult part of the broken backlink building process. We recommend starting with your competitors; websites. Since you’re both in the same industry, you know that you’re competing for the same links. Plug your competitor’s URL into Ahrefs – a website that gives you a complete overview of a domain. Once you get the URL’s statistics, there’s a column on the left hand side of the screen that includes deeper dives into certain metrics. One of those metrics under backlinks is broken backlinks. This will give you an overview of all the links that your competitor is linking to that are broken. You’ll even be able to go to the page where they’re linking out and get more context to the link. For any links that are being used as a source (for instance, linking out to information in a blog post), note them in an Excel spreadsheet. Once you have a list of broken links, start plugging those URLs into Ahrefs. This will show you all of the pages that are linking to that page specifically. The websites linking to these broken link will be your targets for a backlink to your site. You’ll want to create content that’s similar to the broken link so the linking sites will want to link to you. What Content Was in the Broken Link? Once you’ve found broken links, you’ll need to ensure you have content on your website that’s similar to the content that was being linked to. The question is, with the page no longer existing, how can you find out what was written on it? You can plug the URL into the Wayback Machine. Wayback Machine is a way that allows you to see what a website looked like throughout the years. All you need to do is go to the Wayback Machine’s website and plug the URL into the search. It’ll give you a calendar with the page’s entire existence. If you click one of the dates with a green circle, you’ll be able to see what the page looked like on that date. This is how you’ll be able to read the content on the broken backlink. If you have a blog post on your website already that matches the content on the broken page, pitch it to the website as a replacement link. However, if you don’t have a blog that matches that content, you can write something similar (but stronger) than the previous content. You have the advantage of knowing what they linked to before and take that content to the next level. Similar to guest post outreach, you’ll eventually need to contact these websites and offer them your content to replace the broken link. You’ll first have to find the contact name and information for something on their website. My name is [Your Name] and I represent [Name of Your Company]. I was reading your post called [Name of Blog Post] and I noticed you were linking to the site [Name of Broken Link]. Unfortunately, that website no longer exists, however, I do have a piece of content very similar to it called [Name of Your Article]. If you’d like, you can replace your broken link with my article. Is Broken Backlink Outreach Worth It? This is the million dollar question because it’s not an easy question to answer. On one hand, you’ll have a higher success rate than guest post outreach once you reach out to the website with a broken link because you’re offering them something rather than asking for something. However, it takes a long time to find broken links and you may even have to create content to more closely match the content of the broken link. We believe that if you have the manpower/hours to commit to broken backlink building, absolutely give it a shot. However, if time isn’t on your side, there are other options that are much quicker. This is a strategy that isn’t often tried but it’s one of our favorites – creating a scholarship. Not only will you get a lot of strong links from .edu domains, but it’s also great for PR. You’ll be able to help a young student pay for their education as well. There’s no losing with this strategy. How Does Scholarship Link Building Work? This link building strategy is as simple as it sounds. You first need to come with a scholarship idea. Usually it’s an essay or video submission on a topic of your choice. With their submission, the students will also need to submit their personal information and proof on enrollment in college. You’ll also want to create a page on your website to house all of this information. Other than the scholarship’s necessary information, you want to include some interlinking throughout your site, previous winners (after you’ve run the scholarship more than one time), the winner’s prize and an email address for any questions. It’s also important that you make sure that traffic landing on this page isn’t included in your Google Analytics data because it’ll screw up your statistics. It’s also very important to let the colleges know that your scholarship isn’t a one and done situation. You want to have an annual scholarship to ensure your links aren’t taken down after a few months. Once all of this is done, you’ll need to reach out to colleges. We recommend not limiting the scholarship to a specific region, even if you’re a local or regional company. Make it a national scholarship because that allows you to email colleges from all over the United States. That means there’s more opportunity for backlinks from .edu domains. You also want to make sure that the colleges you’re emailing have a page specifically for outside scholarships. Some colleges only offer internal or government scholarship so you want to make sure you’re not wasting your time. My name is [Your Name] and I represent [Your Companies Name]. We’re emailing you to let you know that we’re offering scholarship called [Name of Your Scholarship] with a prize of [Price Value]. We noticed that you were listing outside scholarship and were wondering if you could add our scholarship to the list. If you have any questions, please email us and we’d be happy to answer. Thank you very much and we look forward to hearing back from you. Your job isn’t done when the scholarship ends and you’ve picked a winner. Now, you need to make sure that the local press is aware of the award. You want press releases mentioning the scholarship and winner; you may even want to get a quote from the winner for the story. There are few reasons this is a great idea. The first reason is because it advertises the scholarship and gets more students interested in applying for an opportunity to save money on college. It’s also great PR for your company since you’re helping a student with their education. The most forgotten reason press releases are important is that it builds even more links to your website. Most, if not all, press releases have a link to the website in them and they’re usually from high quality new websites. Should You Consider Creating a Scholarship? Simply put, there’s no downside to creating a scholarship. 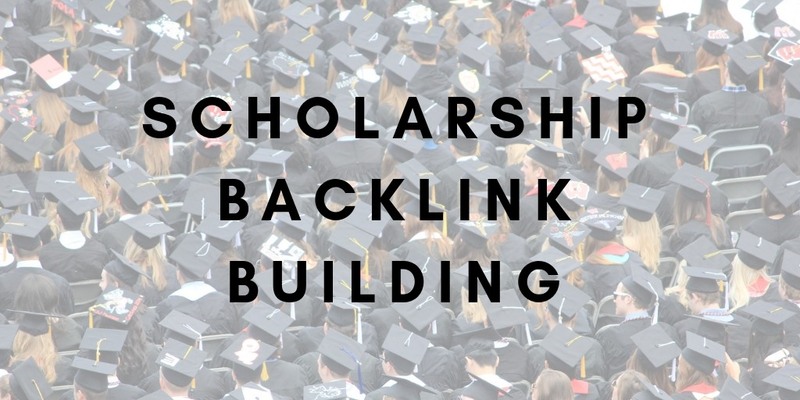 Not only does it do a lot of good in terms of helping a student pay for college, but you’re getting stronger links than any other link building strategy. It may cost you $500-$1,000/year (the cost of the scholarship), but the amount of high quality links going to your website won’t be matched. Have you ever seen websites such as Manta.com or Merchantcircle.com? These are business directory websites. They contain business listings and can be local, regional, national or global. Some of the larger business listing websites also have very strong domains that you want a link from. Thankfully, it’s very easy to get links from business listing websites and with very little work. 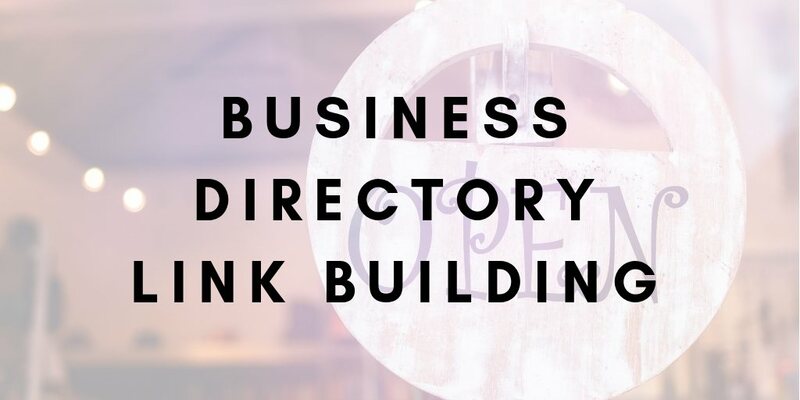 While you shouldn’t base your entire link profile on business listings (they have no relevance other than location to your website), they make a great base of powerful links. In order to build business listings, all you’ll need to do is find a group of strong websites you want a link from. Then, you’re going to want to create an account and build your own listing with your company’s name, address, description of the company, phone number, hours, email address and website. That’s it – it’s just that simple. Not only will these links help you build a strong link profile, but you’ll also rank better in Google’s local three pack. The local three pack is the map with three listings which shows up whenever you search for a product or service in Google. Believe it or not, there’s a tactic you can use in order to rank for these and it has to do with creating business listings. The way you rank in Google’s local three pack is by having consistent listings, especially when it comes to the name, address, phone number and website. When we say consistent, we mean to the smallest detail. For instance, st. and street are different. These tiny differences pay off. Googlebots use the listings and the searcher’s location to determine what shows up in the local three pack. It doesn’t always serve the closest locations but uses the most consistent listings that are nearby. It’s also best to have a Google My Business listing. Everyone loves when their brand is mentioned in an article or news story. It’s great publicity and will build brand awareness. The only thing that would make it better is if there’s a link back to your website in the article. However, this isn’t always the case. In fact, more often than not, when your brand is mentioned, there isn’t a link anywhere in the story. Brand mention link building will have you reaching out to the websites hosting these stories and asking for a link back to your website. How are you going to find stories where your brand is mentioned? It’s actually very simple and we’ll show you how. If your company has already been mentioned in an article, you’ll need to find those stories. The best thing you can do is perform an phrase match search. Phrase match searches are key phrases put between brackets such as “phrase match search”. With the search “phrase match search”, only results that contain those three words found in that exact order on the page will be served. You should try this out with your company name, any company nicknames, your address, phone number and founding members. The first page will probably be your own website’s results, however, after that there will be more brand mention results. You’ll want to contact the websites of these results and ask if they could add a link to your link to the page. Your brand will be mentioned again and you need to be prepared. That’s why you want to set up Google Alerts. With Google Alerts, you can set up daily, weekly or monthly email alerts for when certain phrases are written anywhere on the internet. Much like exact search, you’ll want to set up alerts for any branded key phrases that you can request a link from. The alerts you’ll set up include the company name, owner’s name and contact information. You’ll be alerted to new stories featuring your brand so you can email them quickly while the article is fresh. We noticed that you wrote an article about [What the Article is About]. We look forward to hearing back from you and if you have any questions, don’t hesitate to email us. Does Brand Mention Outreach Work? Brand mention outreach actually works really well. When a news source or blogger writes about your company, it’s usually because of a good experience and would be more than willing to help you by adding a link to your website. This also isn’t a time consuming link building strategy. That being said, brand mention link building isn’t a perfect strategy. You may not have a lot of mentions if you’re a smaller, unknown company. Also, some websites duplicate articles and aren’t able to edit them. There may be a high rate of failure for smaller companies. It should also be mentioned that not all mentions are going to be positive. It’s good for you to know your company’s faults so you can fix them, but you shouldn’t be requesting links from these sites – they probably wouldn’t give them to you either. 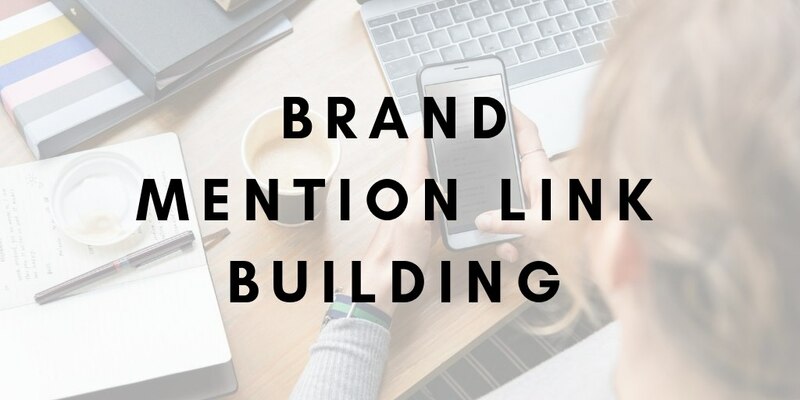 In the end, we believe that all companies should have alerts set up for brand mentions and should reach out looking for link when someone is mentioning them. While it definitely works, results will vary based on how large your company is and how often you’re being mentioned. Maybe guest post outreach isn’t working for you. If a website had dedicated content creators, they may not want to have someone else write on their blog – they hired people they trust to do the keyword research and writing. You’ll have to offer them a piece of content that’s unique and eye catching. That’s where infographics come in – they’re images with statistics to help educate someone on a product or service. They typically show all of the benefits of something a company offers. Infographics are extremely powerful. In fact, people are 30 times more likely to read through the content on an infographic than a written article. That’s all fine and good but what does that have to do with a link building strategy? It should go without saying that infographics aren’t easy to make – you need to have graphic design skills to make them look their best. Since that’s the case, many companies don’t have infographics on their website. However, knowing how powerful they are, I’m sure many would love to have them. If you’re able to create an infographic, you should be able to pitch them to blogs and companies within your industry for a link back to your website. You should leverage this skill to get powerful links to your site from relevant websites. First thing that needs to be done is choosing a topic. Surprisingly, choosing a topic isn’t easy but is very important. 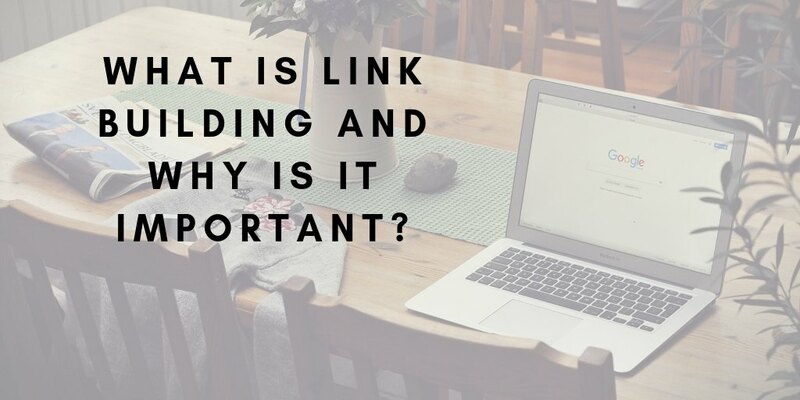 Not only does it need to be something that can easily be shared for link building, but you need to be able to make a visual representation of the topic. The best styles for infographics are single product focused topics or top 5/10 lists. Once you’ve picked your topic, it’s time to create the infographic. You’ll want to use to use software such as Adobe Photoshop or Adobe Illustrator to make the infographic. Keep in mind that the image needs to be clean and easy to read (both the text and the image). Having an image that’s too loud or contains too much text can hurt the usefulness of the infographic. My name is [Your Name] and I represent [Your Company]. I just finished reading [Name of the Article] and I thought it was really interesting. I especially enjoyed the part about [Talk About a Part of the Article]. We actually just created an infographic about the same topic that we think would look great in your blog post. We attached the infographic so you can check it out. If you want to use the infographic in your article, feel free to do so. We only ask that your link the infographic back to our website. If you have any questions, feel free to send us an email. We look forward to hearing back from you. 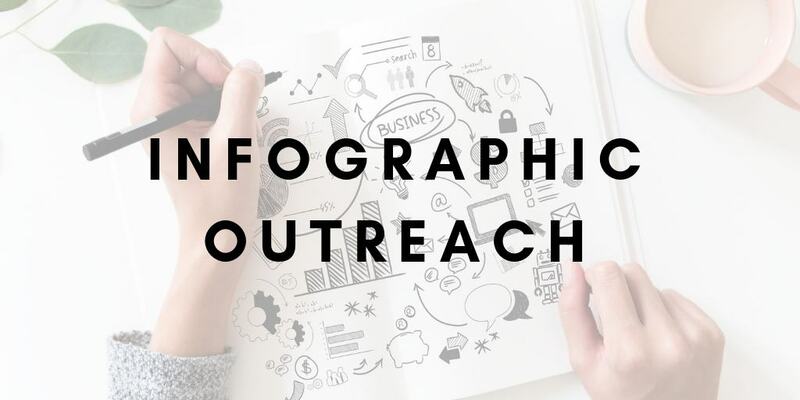 Sometime, you don’t get the bites you want with outreach – it’s all part of link building outreach. However, you have another option with infographics link building: there are specific websites made to share infographics for others to use. You’ll also get a link from these websites (albeit, it’s a profile link but at least it’s something). Some examples of infographic sharing websites are visual.ly, infographicreviews.com and flickr.com. These websites also allow people to share your infographic on their website. You can image search your infographic and find out who’s sharing them and ask them to link back to your website as well. Should You Try Infographic Link Building? While there seems to be a high barrier of entry, infographic link building is a great way to build powerful backlinks. If you have graphic design experience, or have the funds to outsource it, we highly recommend this link building strategy. It’s also important to note (another reason why this is such a great link building strategy) is that you can post the infographics to your website for more engaging content. Don’t forget to use your infographic on social media because it’s highly sharable and you can get more social links to your website. As we mentioned above, everyone loves when their brand is mentioned and even more when there’s a link associated with it. While you already know how to build links when your brand is mentioned, you can also mention other brands to build links to your website. Allow us to explain what we mean. When you mention a brand and give them a link in one of your articles, it plays to their ego. You’re writing about why they’re product/service is so great. They’ll definitely want to post it where ever they can so everyone sees it. This is how you’re going to get links back to your website. It’s obvious why a company would want to link to your ego-bait content, but how do you create content that plays to someone’s ego. The best way to do this is to create a “best of” list article. These articles list the best of something on a certain topic. What you’ll do is write a list article about the 5/10 best of something and give each item on the list a 150-400 word section. Go into detail about what makes them so great. While this will be an extremely long piece of content, you’re going to have a lot of ego-fodder to convince the people you’re emailing to give you a link. We’d love for you to tell us if there’s anything we missed and, if you like it, to post it on your website and social media. I look forward to hearing back from you and if you you have any questions, please email me. Is Ego-Baiting a Good Strategy? Ego-bait links are an interesting. You know you’ll be getting a strong link and will have a high success rate when reaching out. That being said, you’ll have to create content that can be upwards for 1,500 words. We recommend trying this strategy once you have a solid foundation of backlinks. These links should be strong because you’ll be mentioning established companies with stronger domains. They’ll give you a much needed boost to your SEO metrics. It’s also a great way to create content and get backlinks (the two foundations of SEO) in one strategy. That being said, we don’t recommend starting with these links. You shouldn’t be creating a ton of list articles for links when you’re a young company because it’ll take too much time. Try some of the less time consuming link building strategies and come back to this one later. Have you ever been watching tv and heard the phrase, “this program brought to you by…”? Sponsorships are a great way to get your brand in front of as many faces as possible. The more popular a tv or event is, the more people will see your brand. While it works the same with online sponsorships, there’s one other major benefit – you get a link from their high authority domain. While these links do cost a decent amount of money, you know that you’re getting some of the best links you can get online. The question is, how do you find sponsorships? There are many opportunities with sports teams, walks and events. If you go to their website, there’s a place where you can find current sponsors and sponsorship opportunities. Another great sponsorship opportunity would be through charities. These are great PR opportunities, tremendous links and a fantastic way to have your brand seen by many people. Plus, you’re supporting a cause that’s meaningful to you. Look into supporting groups like the Alzheimer’s Association or the National Breast Cancer Foundation. Should You Get Links From Sponsorships? 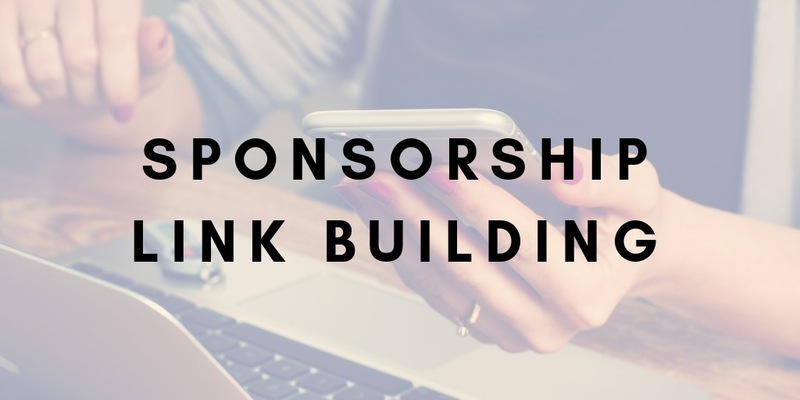 While these links are expensive, there are so many benefits to getting sponsorships. For starters, the links you’ll be getting are powerful and are sure to improve your SEO metrics almost immediately. Also, it’s a great way to get many eyes on your brand. Sponsoring a sports team or major event means that you’ll be all over their website. Those websites earn thousands and thousands of sessions per month. That’s a great way to build brand awareness. Possibly the most important reason to get a sponsorship link is because you’re supporting something important to you and your brand. Whether it’s an industry event or a charity you hold close, you’ll feel great helping out. Not to mention that it’s a great PR move, especially when it comes to supporting charities. This might not be the best way to build links because it’s expensive, but you can rest easy knowing that it’s a white hat strategy. Plus, the links are extremely strong. If it wasn’t for the cost, it would be an obvious link building strategy to try. If you have a budget set aside for marketing/link building and want to support an event or charity, this might be a great way to help your company and improve your website’s rankings at the same time. You’re not the only person looking for a backlink. We’re sure you’ve received emails asking for a link on your site as well. You probably just put that email in your trash and thought nothing of it. Next time, don’t trash it – you can use that as leverage to get a link from their site. What you should do is check out their website. Is it relevant to your company/industry in the slightest? Is the domain pretty strong? What does their link profile look like? If they have a decent website, you should consider emailing them back and asking for a reciprocal link. That means you get a link on their website in exchange for one on your website. My name is [Your Name] and I represent [Your Company’s Name]. We were reading the post called [Post Title] and your site and really enjoyed the part about [Write About a Part in the Post]. We also couldn’t help but notice that we have very similar content on our website. That got us thinking: let’s do a guest post swap. We’ll write a post for your website and you write one for ours. Our site has a domain authority of [Your Domain Authority] and [Number of Users] unique users per month. We feel this would be a great opportunity for both of us. We’re looking forward to working with you on a guest post swap. If you have questions, please email us. The reason you can be a little more technical with this email is because you want to convince them to write for your website. Your domain authority will show them the benefits of getting a link on your website while your monthly visitors will show how many eyes may be on their content. One thing you don’t want is your link on a page without any links to it (both external and interlining). It’ll take a while for this page to be crawled and the page authority will be very weak. While domain authority is a stronger indicator of quality, you want your link to be on a more prominent page. You also don’t want your link found in a header, footer or sidebar because these repeat on every page of the website. While this sounds great (the more links the better), Google finds these links to be spammy. We’ll get into more detail about site-wide links later in the article. The best place for your link to be is in the content of a single page. Typically this would be a blog post but isn’t limited to them. As long as your link is in the content of a prominent page, the backlink will be high quality. Are Link Exchanges the Right Strategy for You? 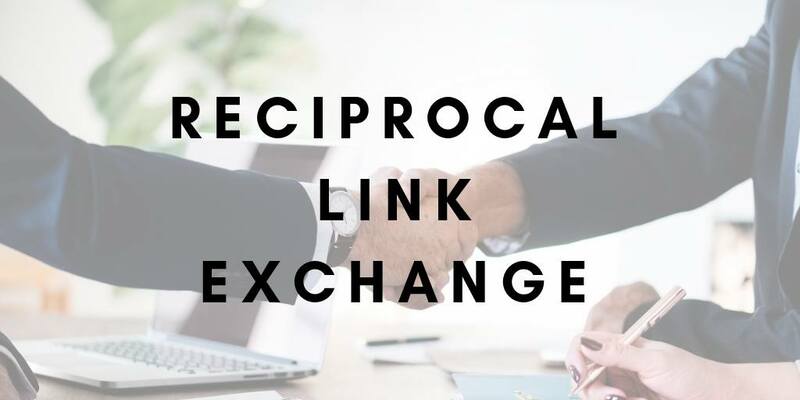 Much like guest post outreach, there’s a lot of work that goes into getting reciprocate links but you know you’re getting a link on a strong domain (you chose to reach out/email them back). It’s pretty tough to say what the rate of success would be. On one hand, you’re offering them a link on your website. If you have a strong domain and a lot of traffic coming to your website, other websites are going to want their content/link on your website. However, you’re asking them to do work such as writing an article. That could be a turn people off of the idea. If you’re getting a blog post from the exchange, you’re getting fresh content from a new voice. It’s a great way to entice readers to come back to your site and see more of your content. 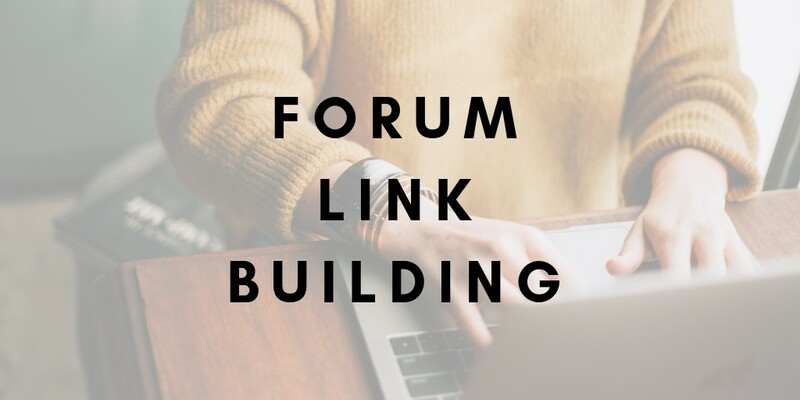 Much like guest post link building, this is an extremely white hat link building strategy that helps you get links from strong domains with relevant content. It’s hard to discourage reciprocal link outreach. You only need to understand that the success rate is hard to predict and if things aren’t working at first, don’t give up. A great white hat SEO strategy is to get your articles posted in a link roundup. 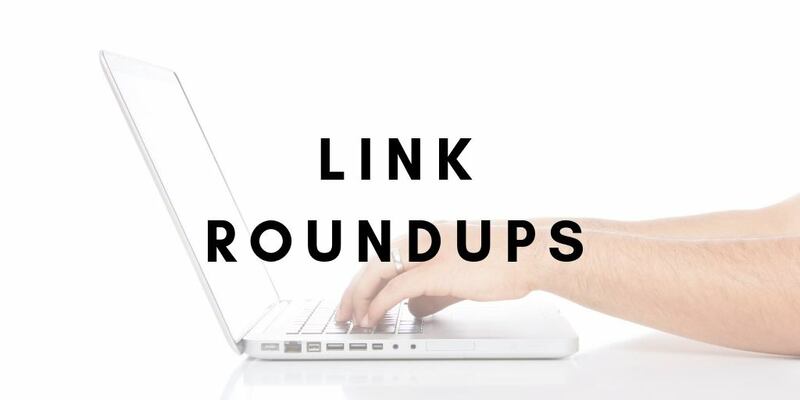 Link roundups are a weekly or monthly post of links to relevant content. Finding link roundups in your niche and getting a link on one is a great way to improve your rankings. The key question is: how do you find relevant link roundups? The easiest way to find link roundups is to search for them, primarily on Twitter. This is because most people share their link roundups on social media because they’re extremely engaging and sharable. To find link roundups, simple search “[Your keyword]+roundup”. Make sure that you’re copying down all of the roundup website’s important information on a spreadsheet. That includes the domain, an email or way to reach the website owner and the name of the person you’ll be reaching out to. Many people forget to take the contact person’s name but it’s extremely important. You’ll want to address them by their first name to make the email more personable. Once you find some link roundups, you’ll need to reach out to the website to try and get your content in front of them. Unlike the other outreach templates, you don’t need to be as in-depth or find something nice to say about their website. You’ll want to mention what your post is about, and how it fits into the industry that the roundup is about. Press release links are links found in stories by the press and are about your company. There are so many benefits to getting this type of link to your website. Not only are you getting a link from a strong domain, but it’s great PR for your company. Not only that, but they’re pretty simple links to get. You have to do something that’s press worthy. Charity work, company acquisition/a new location and major company events can easily land you a press release link. 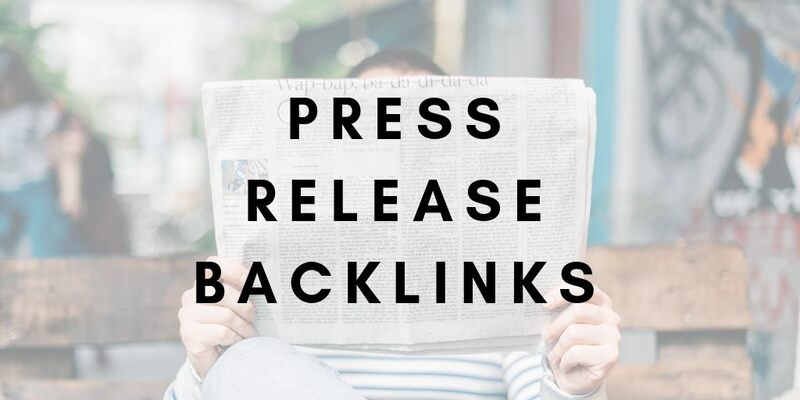 Press release links are also easy to pair with other link building strategies. We’ve already mentioned that you can get press release links after building out a company scholarship. This ensure that you’re getting even more links for little work. Plus, all of your links will be from .edu and public news websites so there’s no fear of being penalized by Google and the domains you’re receiving the links from are strong. There isn’t too much to press release links. Do we think you should try and get links at local news websites? Absolutely! Anytime you’re doing charity work, make sure that you get the great PR and link juice from a press release link. If white hat links are the purest and black hat links are the riskiest, gray hat links toe the line between playing by the rules and breaking them. You’re not at risk of being penalized by Google unless you go overboard with these links. We recommend that everyone try using these links with caution. They could be very powerful but you don’t want them to make up your entire link profile. That being said, you should look into gray hat link building strategies and enhance your link profile with them. We had a hard time figuring out whether to put this link building strategy under gray hat or black hat. The concept of redirecting old domains is simple. You want find expired domains with strong link profiles, buy them and redirect all of their old URLs to pages of your website. That sounds a little bit shady (it kind of is), however, there’s no reason for Google to penalize this strategy unless it’s done excessively. You’re essentially buying these domains and what you do with them is your business. However, Google wants to ensure their users that they’re only showing quality sites and if they see a lot of redirecting domains, they could penalize you for trying to manipulate the algorithm. They could see it as manipulating the algorithm. Why would you want to redirect a URL to your website? All the links that are directed to those URLs will now be yours. The link juice from all of those backlinks crosses over with the redirect. How Do You Buy More Backlinks? First, you need to find old URLs. There are many sites that you can buy expired domains, such as expireddomains.io, domcop.com and freshdrop.com. Some domains are cheap while other are rather expensive – it all depends on the quality of the domain. That being said, you can’t just choose any decent looking domain and think it’s ok to redirect to your website. You first need to make sure that the websites you’re interested in purchasing have strong backlinks and there are no signs of penalties, hacking or anything concerning. You’ll want to check the domain in Majestic or Ahrefs to see their authority. If their links are strong, from reputable websites and are being linked to multiple domains, that’s a great start. Also, make sure the anchor text of the links isn’t the same thing over and over – they should be relatively unique. If the the anchor text is written in a different language (the majority of anchor text should be in the native language of the website) or using spammy call-to-actions, that’s not a good sign. The domain was probably purchased in the past as a spammy website trying to make a quick buck. That being said, you can learn more about the past of the domain through the WayBack Machine. WayBack Machine shows what the website looked like through each of its crawls for the entire history of the domain. This is where you’ll get a good idea of the site and see how it was used in the past. Look out for websites using foreign languages from the website’s native language, especially if it changes abruptly from an english website. That could be a hack or a spammy website. If you go through the sites and notice that they’re passing all of these checks, they’re safe to buy. Why is this important? The last thing you want to do is get a boat load of spammy links that were linking to a spammy website. It’s only going to hurt your website’s quality and could cause you to get penalized by Google. Once you redirect the website, there’s nothing you can do to change the links that are now being sent to your website. We also believe that you should find a domain with a name that could be considered a keyword, has a location that you service or sounds like it could be in your industry. This helps with the relevance of links you’ll be getting to your website once you redirect the old domain. Now you’ve gotten your new domains; now what? First, run your website through Screaming Frog which is a program that allows you to find all the URLs that exist with that domain. This includes images, css files and PDF files. Once you have all of these URLs, it’s time to start to start redirecting them. This can be done on your CMS with a 301 redirect plug-in. You’ll put each URL into the plug-in and tell it what page you want that URL to point to. That means if anyone puts in the old domain’s URL or it comes up in a Google search, they’ll come to your page. More importantly, all links to that URL are going to your page now. If you purchased multiple domains at once, we recommend not redirecting them all at the same time. Google doesn’t feel this is a method of actually earning your authority and if they see suspicious activity such as this, you’ll be penalized. However, if you do it once per month, Google won’t think anything of it. Is It Worth Building Links Through Expired Domains? It goes without saying, building links with expired domains is very risky. On one hand, you’re inheriting an entire link profile of an old domain that you purchased and, if done properly, Google won’t catch you doing it. It sounds like a great idea, however, there are many ways it can go wrong. The expired domain could have been penalized, hacked or have many spammy links. Also, if Google finds out what you’re doing and you’re doing it often, they’ll penalize you. Thankfully, the problems can be fixed easily but deleting the redirects from that domain, but you’ll be out the money you spent on the domain. If you read that list and are still interested in building links though expired domains, be very careful. It can be an awesome way to get fantastic links and, if you follow the advice from above, you should see some solid improvements in your SEO metrics relatively quickly. Comment links are as simple as they sound, you create a comment on a website with your link in it. This could either be in the text itself or in the name of the person leaving the comment. This is an extremely easy way to build a base of links quickly from websites that are pretty strong. There are a few problems with comment links. For starters, these links are not in the content so they’re not valued as high in Google’s algorithm. Also, most comment links are nofollow links – you won’t get many dofollow links if you build links through comments only. Most importantly, just because you post a comment doesn’t mean it’s going to be posted. When you post a comment on most sites, it’s sent to the owner or moderator of the site for review and they can decide if they want it posted on their blog or not. That’s why the best strategy for comment posts is to come up with a well thought out post. You’ll want to read the content and ask a thought provoking question or make an insightful statement. Don’t just write a single sentence comment and expect the owner to post it on their website. They’ll think you’re looking for just a quick link (which is what you’re doing). Also, a huge benefit of creating comment links is that you control your anchor text. Whether you’re embedding your link in the comment or the name of the poster, you have complete control of the linking text with comment text. This is something you shouldn’t overlook because it further helps the linking page rank for that specific keywords. Why Are Blog Comment Links Gray Hat? Comment links are ok so don’t be afraid to get them. However, you don’t want this to be your primary source of links. If you only have comment links, Google thinks that you’re not earning your authority and the links are considered spam. They can also penalize you if they feel you’re taking advantage of comment links on high-end domains. 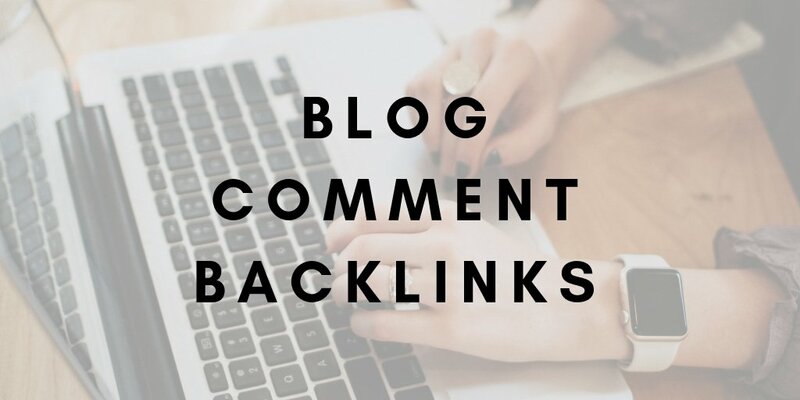 Are Blog Comment Links Too Much of a Risk? When it comes to gray hat link building strategies, you need to wonder whether it’s worth taking the risk or not. With comment links, we believe that it’s not a bad idea to get some as a base layer of links. However, we don’t recommend making comment links the largest part of your link profile. Also, a strong, well thought out comment can create conversation. That’s a bonus benefit of comment links because when you engage in conversation with people, you’re building brand awareness and trust. There’s nothing more powerful than trust when you’re selling a product or service. Think of forum links similar to comment links. You get these links from creating profiles on forum websites and getting a link in your profile. These are typically nofollow, low priority links but it’s good to have a solid base of them because they’re easy to obtain and give you a solid foundation for your link profile. Some forums don’t have a link section in the profile. You can also get a link by putting it in your signature and post a few comments on the website. Some forums don’t take kindly to this strategy (they know you’re just looking for a quick link) and may delete your posts or suspend your account. However, if you offer something of value to the members such as insightful knowledge, the users will look past the fact that you’re just looking for a link. You also want to be very careful with forum links. Similar to comment links, you can be penalized if you go overboard with them. Keep in mind, they’re only a foundation and shouldn’t be your main link building strategy. The largest forum on the internet is Reddit. There are board called subreddits for everything, no matter how obscure it may be. This means you’re sure to find a subreddit that’s relevant to your company’s industry. Unlike a typical forum, getting links on reddit are very strong and doesn’t have a risk of being penalized. That being said, it’s no an easy task to get a link on Reddit. Reddit has developed its own culture and one thing most redditors hate is advertising. In fact, the entire website is anti-advertising. If you create an account and start posting links, the posts will be deleted, your account will be blocked and your company will be attacked by many of the members. Even more than any other forum, you need to build trust and offer something of value. If you’re going to try and get links from Reddit, you’re going to need to have a well thought out strategy behind it. You’ll need to post often, offer advice, ask questions and answer questions. You need to become something of an authority on specific subreddits – redditors need to trust you. Once you’re a trusted member of the community, you can then add links to your company to some of your posts (but only if it makes sense with what you’re saying in the comment). We recommend creating content specifically to answer some of the questions on reddit and post those. It’s also important to know that Reddit can drive a ton of traffic to your website. With most link building strategies, you’re building the links for Google – any traffic you get from them is just a bonus. However, many redditors click on the links embedded in comments. That’s why it’s even more imperative the what you’re linking to is relevant to the conversation otherwise, you’ll be called on it immediately. It goes without saying that getting Reddit links isn’t gray hat in nature. The only reason it’s here is because so much can go wrong. Not only will the link be deleted, but it could be a huge PR failure. Be smart when using Reddit for link building. It can be a powerful tool or you can get hurt by it. Should You Build Links with Forums? As mentioned above, you absolutely should have a decent base of links. You can mix that up between comment and forum links because Google likes a diverse link profile. Just make sure these aren’t the only links you have in your profile or that you don’t overdo it. These aren’t the most powerful links and Google may find them spammy if they’re all you have directing to your website. If you plan on building links via Reddit, you better be prepared to play the long game. Don’t rush into it and start posting links. You need to build trust and understand the culture of the subreddit – Reddit is very hostile towards advertising. If you’re not comfortable with Reddit link building, we don’t recommend using it for links. Site wide links aren’t a great idea at all. These are links that are found in nav bars, footers and other parts of your website that show up on more than one page. That means you’re getting infinite amount of links (however many pages that have/continue to build) with only one domains. What’s wrong with infinite amount of links? Isn’t it good to get more links? Yes, but from different referring domains. When you get ton of links from the same domain over and over, it comes across as very spammy. This is especially the case with header and footer links that already don’t have as much value as in content links. Also, Google finds it very suspicious if you have hundred or thousands of links from a single domain. Google has updated its algorithm to discourage unnatural link building tactics such as site-wide links. They’ll penalize websites that use this type of link building strategy. So, why isn’t site-wide link building considered black hat? Well, while we wouldn’t recommend site-wide backlinks, it can actually be useful for interlinks. Having a “recent posts” section in your side bar showing off your newest blog posts and putting your main service pages in your nav bar are great practices to ensure that you’re spreading link juices from your backlinks throughout the website. The last group of link building strategies is known as black hat link building. These are the strategies that’ll get your website penalized by Google if you’re caught. Black hat link building tactics are frowned upon because you’re trying to cheat the system to get an advantage. Then why are we going through a few black hat strategies below? For one, you need to know these strategies in case you’re doing them now. If you make one small mistake while performing these strategies, you’re sure to be hit with a hefty penalty from Google. That being said, a few of these strategies can have huge benefits if they’re performed properly and you’re extremely careful. While we wouldn’t recommend them for everyone, an extremely skilled SEO will be able to use some of these strategies effectively. PBN stands for “private blog network” and consists of a handful of blogs/websites that you create and control with the sole purpose to link back to your main website. The reason these are penalized by Google is because you created your own links and didn’t earn them organically. Google fears that they’re promoting a website in their search results that didn’t earn it. The difference between PBNs and the other black hat tactics is that PBNs can actually be very effective when done properly. In fact, PBNs get a bad rep for being a black hat tactic but, if it’s done properly, can be an incredibly powerful link building strategy. The big mistake many marketers and business owners make when creating a PBN is that they have all of their PBN domains on the same hosting plan, making it very easy for Google to figure out that it’s a PBN and penalize all of the websites, including your main site. How Can PBNs Be Caught by Google? If you’re going to take a risk with building a PBN, make sure that you put all of the domains on different hosting plans from each other and your main website. That way it looks like you’re getting links from different websites and you’re earning them naturally. It’s very important to note just because your PBNs are on separate hosting doesn’t mean they should link to one another. Treat these domains like separate entities that don’t know the other ones exist. Once you start linking them together, you create a web that Google can track and penalize. Also, don’t link them to your main site all at the same time. When you do that, Google finds it suspicious and could penalize you. We suggest linking to your main site slowly, with a few sites at a time. What makes PBNs so effective that someone would want to risk a penalty from Google? For starters, if your PBN is made properly, the domains are on separate hosting plans and you’re linking out slowly, you don’t have to fear a Google penalty because there’s no way for Google to discover them. Also, PBNs give you complete control over your links. 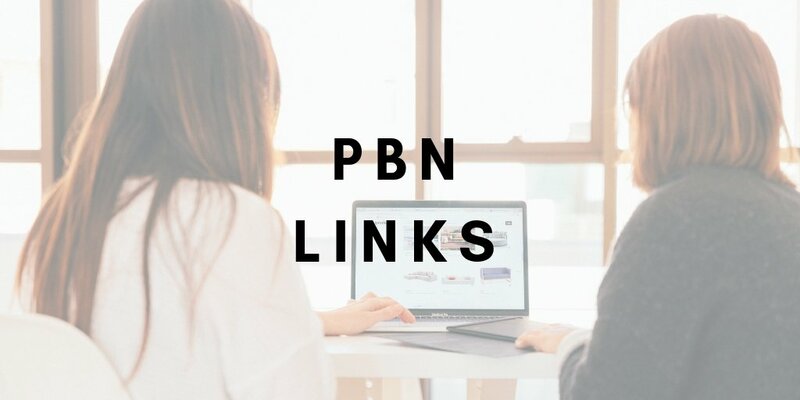 You choose the anchor text, the page on your main site it links to, whether the links are dofollow or not and where the link is located on the PBN site. Not only that, but your main website is protected. What does that mean? 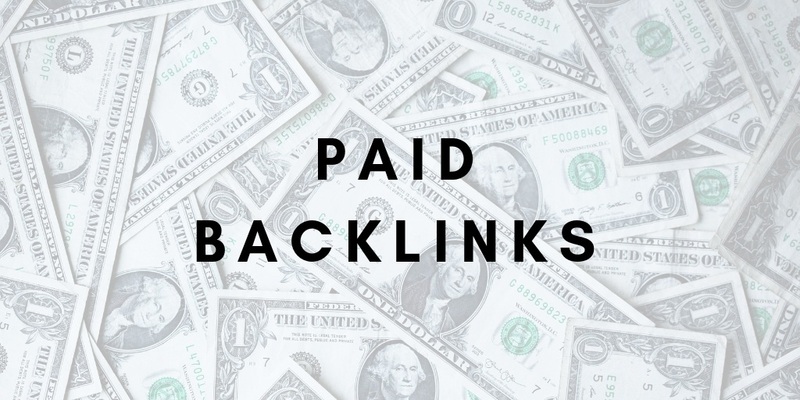 Let’s say you have 20 PBNs linking to your main site and you do backlink building for your PBNs, your main site will still benefits from the link juices of those links. If one of the domains linking to one of your PBN sites is spammy or one of PBN sites becomes penalized for any reason, simply delete the link from that PBN site to your main site and it won’t be affected. There’s a lot that goes into building the perfect PBN. 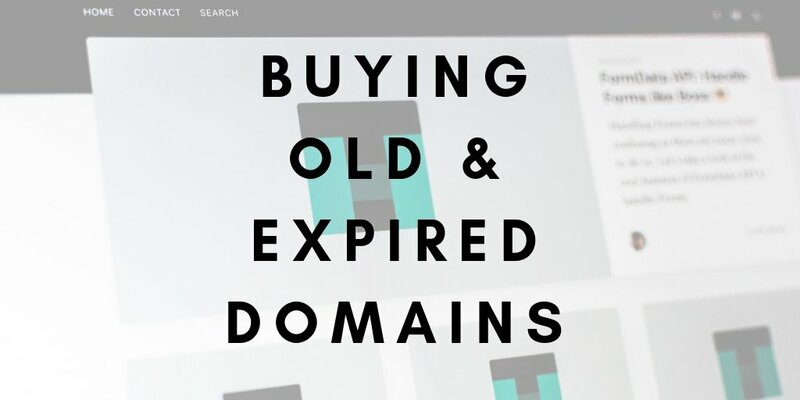 Much like buying expired domains to link to your website, you’ll need to find old domains that have strong link profiles without being hacked or used for nefarious purposes. We recommend if you’re going to try building a PBN, get URLs that are relevant to your company or its location. Once you’ve chosen your domains, you need to purchase them and their hosting (remember, they should be on separate hosting plans). You should also set them all up on a CMS so you can easily add pages and content. Now that the website is set up, you need to code a template and create content. We recommend creating 5-7 unique pages of content so the site seems legitimate. When it comes to PBNs, this is the million dollar question – should you build a PBN? There’s really no simple answer – it depends on your situation and link building skill level. Creating a PBN can be expensive when you figure in the cost of domains and hosting. You also need to figure in the time it takes to build one between the setup, building a template and content creation. On top of all of that, it’s a huge risk. That being said, if you know what you’re doing, a PBN can reap huge benefits. You’ll have powerful domains that you have complete control over. That being said, with all of the white hat link building options you can try, you should create a PBN at your own risk. Try some of the white hat SEO options before you resort to building a PBN. One of the most commonly used black hat link building strategies is web 2.0 link building. Just because it’s used often doesn’t mean it’s the best route to build backlinks. These sites are often home to so many spammy links and content that it devalues web 2.0 links and could negatively affect your rankings. The most logical place to start with web 2.0 links is to explain what is web 2.0? Websites that fall under web 2.0 are WordPress, Blogger, Wikis (we’ll focus on these later) and Tumblr. It can also include social media websites like Facebook and Google+ It’s defined as easy to use, user generated content. They allow users to interact in the dialog and contribute content. It’s important to note that this doesn’t include websites that use wordpress as a CMS. In regards to web 2.0, WordPress websites have a URL like this: “[Your websites name].wordpress.com”. Why Is Web 2.0 Spamming So Bad? In the grand scheme of things, web 2.0 links aren’t bad. In fact, you want to have some social media links because it helps get your website indexed quickly (websites like Facebook are crawled often). However, when you start abusing web 2.0 sites for link building, you’ll start running into problems. Much like a PBN, you can create and control web 2.0 domains for building links. 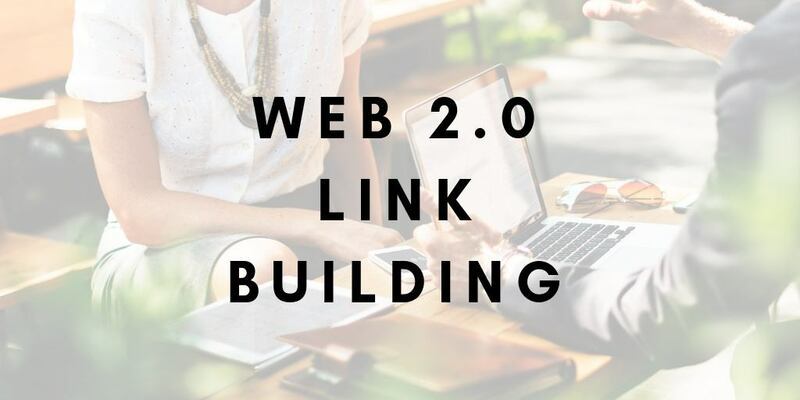 The biggest difference between PBNs and web 2.0 backlink building is that you aren’t buying a domain – you’re using the WordPress or Facebook domain to get more authoritative links. Google recognizes this and considers it a way to try and manipulate the algorithm. The biggest problem with web 2.0 links is that they’re known for having a lot of spammy content. When someone spams content and links on web 2.0 websites, Google frowns upon it; this is called spam 2.0. Should You Avoid Web 2.0 Links? As we mentioned above, you shouldn’t freak out if you have some web 2.0 links. In fact, you should seek social media links because they can help get your content indexed quickly. Also, having a couple WordPress or Blogger links won’t end up causing your site to drop in rankings. The problem is when these become a major link building strategy for your website. Building a bunch of web 2.0 websites and spamming them with links will get you a one-way ticket to a Google penalty. When it doubt, look for domains that don’t leach off WordPress or Blogger’s domain authority when building backlinks. Let’s be honest about link building: it’s a long and tedious process that could drive you crazy at times. 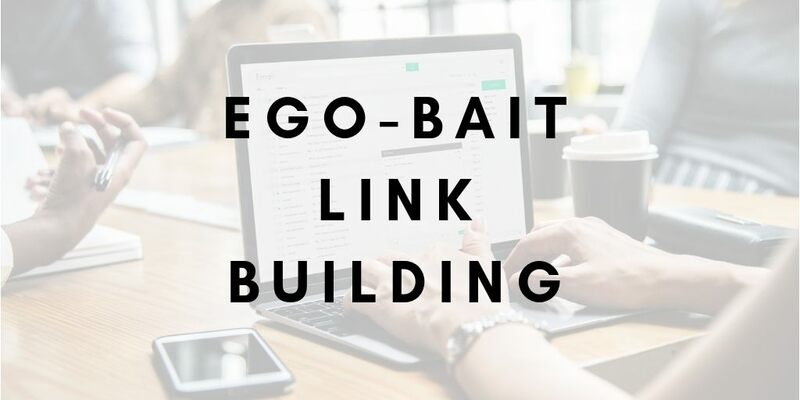 However, if it isn’t obvious already, link building is a necessary evil if you want to build an authoritative website that can make you money. If there was a way to build links automatically, it would make life easier. Believe it or not, there are tools that build links automatically. No more will you have to do the manual work of reaching out and getting links for yourself. Just sit back and let it happen automatically. It sounds too good to be true and that’s because it is – you should avoid any automated link building on your website. 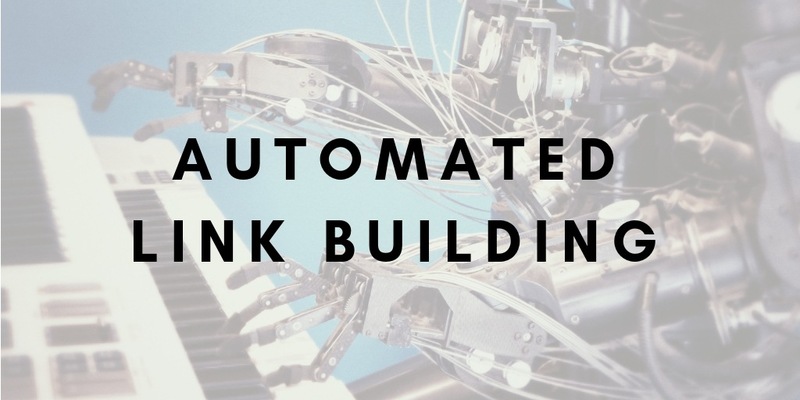 How Does Automated Link Building Work? Automated link building software does its best to make it sound like it’s going to be a great investment. The goal is to get you to pay for their tool to have peace of mind knowing that you don’t have to worry about your website’s link building anymore. They promise to start out by crawling your website for data collection. This establishes your websites content, domain authority and determines which URLs can link to specific pages. Once it determines your domain’s statistics and sites that can link to you, the automated tool will send out personalized emails using your email software (ie mailchimp, sendy, etc) asking for links. You would need to set up an email drip campaign in order for this to work. This all sounds great; the automation software finds the links and sends the emails for you. What could possibly be wrong with making link building an easier process. One of the scariest things about this process is that you have no control over the sites that the automation tool is emailing. You lose complete control over your link profile, which is a terrifying thought. It’s a common problem for automated link building software to build spammy links to your website. Sure, you’ll be getting more links without any work, but the links will be hurting your website. You won’t rank as well and could even be penalized for having spammy links. Not only that, but you’re going to be paying a lot of money to have this automation software set up for your website. If you’re going to spend money on links, there are far safer ways of doing so, such as building a scholarship. Never try and find an easy route to link building; all it’ll do is cause trouble and make your website less likely to rank. It’s never a good sign when you have to hide something, especially when it comes to hidden links. In fact, Google has a whole page on hidden links in its support section explaining how it views them as manipulating the Googlebots. You know it’s a major problem when Google straight up tells you not to practice this type of link building strategy. 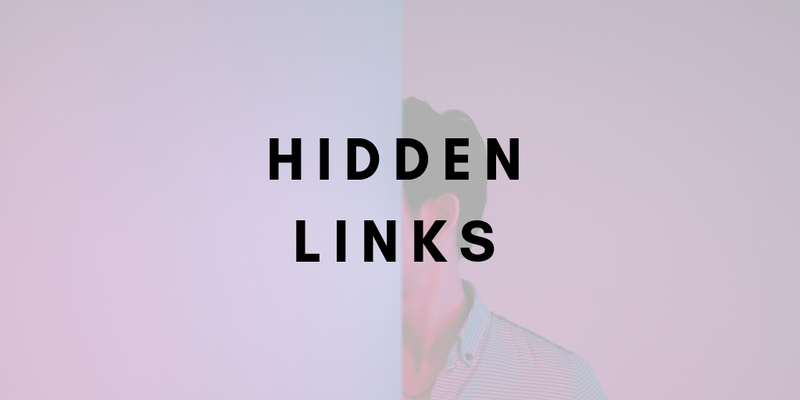 You’re probably wondering what hidden links are and how they’re different from other links on your website. These are links that aren’t seen by the viewer but can be seen by the Googlebots. There are several ways of going about adding hidden links on a website. The most commonly seen (or unseen because they’re hidden – that’s a bad joke) way of adding hidden links to a website is having white anchor text on a white background. Unless you highlight the entire page, you won’t be able to see this link, however, Google sees it as an in-content link. However, there are other extremely sneaky ways to hide links on a web page. You can place the text behind an image, set the font to size 0px or position the text off the screen. In the past, the Googlebots wouldn’t recognize these problems. Things have changed now and Googlebots are much smarter than they’ve been in the past. They recognize these types of manipulation and can penalize you for trying to trick the algorithm. Since Google is telling users not to use hidden links, it’s safe to say that you don’t want any backlinks from a site using hidden links and you definitely don’t want any on your website. If you get caught using this strategy (and it isn’t hard for Google to catch you), they can come down on your website pretty hard with penalties. When backlink building, check out the “page source” in order to see if there’s any hidden links or text on the page. The page source shows the code of the website from your internet browser and is the only way of seeing if there’s text off the screen or size 0px. However, typically websites using this tactic won’t have a great domain authority and you wouldn’t be seeking a link from them. You’re probably thinking, “Hey! You mentioned strategies above that require me to spend money. Now you’re saying I can’t pay for links? Does that mean you lied about the quality of scholarship links and purchasing old domains?” Not quite. Yes, some link building strategies require you to spend money, but you’re not paying for a direct link to your website. This doesn’t include sponsorships either – you’re paying to sponsor an event/team/company. When you purchase a link, you’re paying for someone to put a link on their website or to spin content with your link in it. When you do this, you lose complete control over your link building such as the website it’s on, the anchor text and where on the website the link is put. The ONLY benefit you receive is that it’s easy. When you pay for links, it’s almost certain you’re going to receive a link that can be penalized. We mentioned that many times the link is placed into a piece of content that has been spun. When (not if) Google catches that duplicate content, the site will be penalized and the link you paid for will be worthless. Even worse, your site can be penalized for having a link on that page. Where Can You Purchase Links? It’s important to know where you can purchase links so you know what to avoid. Many times, you’ll be able to purchase links on freelance websites such as UpWork. Upwork is a great place to find freelance writers and developers for your website, but we wouldn’t recommend using it for link building. UpWork is one of the more trustworthy websites, but you never know where these freelancers are getting their links. A more shady website is Fiverr. Where UpWork is typically a trustworthy website with freelancers trying to make money, Fiverr is offering freelance work at unbelievable prices (starting at $5). You’ll often see hundreds of high authority links for only $5 – $10. If that sounds too good to be true, it’s because it is. These links are typically spam that’ll hurt your site more than it’ll help you. Never pay directly for a link – it could hurt your website in the long run. 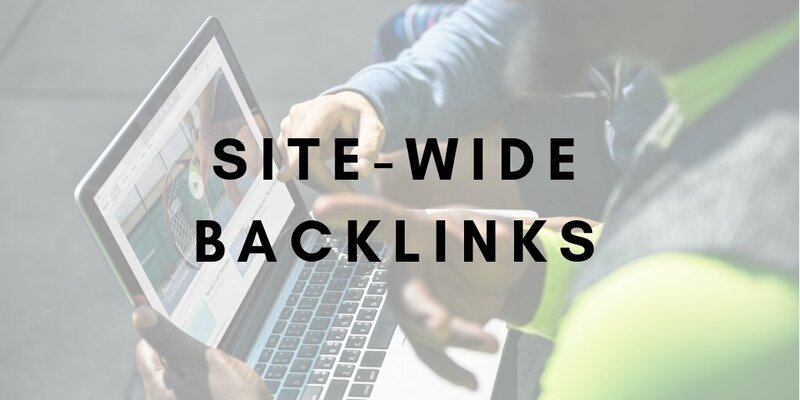 We recommend taking the time to get links through the white and even gray hat link building strategies that we listed above before you consider buying links. 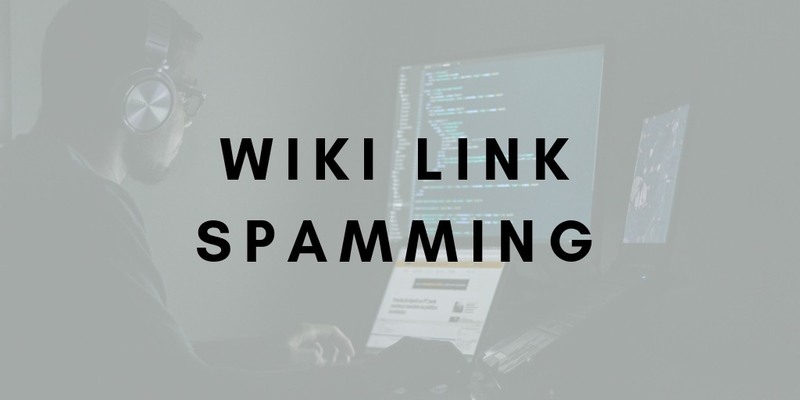 Wiki link spamming, also known as Wikispam, is a real problem in link building. What happens is that website owners will go to Wiki pages and edit the content to contain links. Usually the anchor text for these links contains the keyword or a variation of side link. You’re probably wondering what’s wrong with this strategy. Wiki pages often have great page authority so if you can get links from there, why not. While that’s true: you want to get links from Wiki pages if possible, but it needs to be natural. When you start spamming pages for quick link building, you run into problems. Much like Reddit, Wiki pages are often against blatant advertisement. The moderators of the page know that you’re looking solely to improve your page’s organic rankings rather than providing any useful information. It’s almost guaranteed that if the Wiki has an active moderator, they’ll catch your spammy link and have it deleted immediately. Many moderators are also very protective of their pages. Simply deleting the link isn’t the only thing that may happen. The moderator can also block you from editing any more pages on the website. While that isn’t the end of the world, you won’t be able to use the wiki for legitimate link building (if it’s appropriate and relevant). Similar to Reddit, Wiki moderators will let you add links to your website if its relevant. Those links are great for your website and can help. However, when you start changing the content to include specific keywords or are adding links that just don’t make sense, they’ll put their foot down. It’s a tricky strategy and one we recommend just avoiding all together – there are safer strategies you can try. As we’ve mentioned above, Googlebots have gotten much smarter over the years. In the past, spam links on Wiki pages really worked on getting a page to rank. However, now Googlebots check the frequency of getting Wiki links and the relevance of the Wiki page itself vs the content on the linking page. While there are ways you can go about Wiki link building (less frequent link adds and being very selective with the page you add links to), there’s a huge risk to getting these links. There are ways to build links faster without having the fear of being penalized for your efforts. There’s a lot of link building strategies – you may not know where to get started. We recommend checking out what your competitors are doing. Put their domain into Moz/Ahrefs/Majestic and see the quality of their links and where they’re getting them from. This will help in a few ways. For starters, it’s always important to know what your competitors are doing. If they’re website is strong, you’re going to want to know what’s working for them. If they’re using a strategy you didn’t think about using or have a link from a really powerful domain, don’t hesitate to reach out for a link as well. There’s nothing wrong with matching their link profile before adding other, more unique links. 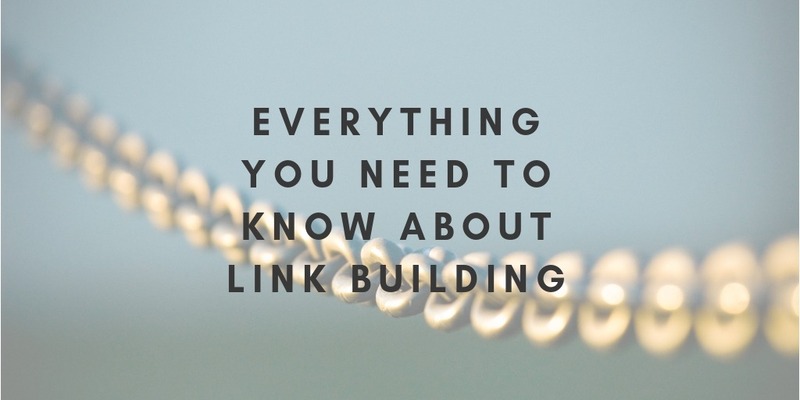 One of the most important things is to not focus on only one link building strategy. You want links from many different types of websites to build a strong, unique profile. That doesn’t mean jumping on spammy links out of desperation – it means that link building needs to be an on-going process that may require you to change your strategy if it’s not working or you want more unique links. Many of the strategies above require you to reach out to websites for links. You’re going to learn very quickly that your first email won’t get a high response rate – it’s part of the nature of link building. Don’t let that discourage you. What you need to do is make sure you follow up on all of your emails. Stay in front of potential link opportunities and make sure that you get some sort of a reply, even if it’s a no. Sometimes, many of these blog or website owners are very busy and receive many emails per day. Following up keeps your request top of mind and gives you a great opportunity to get a backlink. This doesn’t mean you should be pestering website and blog owners by emailing them a couple times per day; you need to find a happy medium of constantly emailing them and following up at all. We recommend sending a follow up email a week after your first email if you don’t hear back. Make sure you don’t use the same email template that you sent originally; you should create a follow up template email. Also, when you follow up, reply to the original email you sent so they can see the first email you sent as a reminder. Without the previous email, they may not know what the follow pertains to and will ignore the follow up email as well. Most people forget about the importance of linking on your own website. The links on your website are incredibly important and can help push your website to the next level. You want to make sure that you link out to other authoritative websites. You’re probably wondering why it’s important to link to other websites on your site. We spent all this time explaining how you can build backlinks to your site, but if you don’t link out to authoritative websites, Google isn’t aware that your content is factual. Think of it like citing your sources on a high school research paper. When you make a claim, state statistics or propose a strong opinion in an essay, the teacher requires you to show your sources – they don’t want you making facts up. The same thing happens when you link out with Google. Adding links on your site gives your statements more credibility to the reader and builds trust. Google looks at the content on your page and determines the keywords and topic of the page. When you link out, Google checks out the links and sees if the content on that page is on the same subject. If that website you’re linking to is also very authoritative, Google notices that you’re sourcing a credible site and ranks your page better. There’s more to on page linking than just linking out to authoritative websites. You’re going to want to link to other pages of your own website. This is called interlinking and is an often overlooked part of link building. Without interlinking, many pages on your website won’t rank as well as they should. The biggest reason you want to link to other pages on your website is because it helps the entire website index faster. When Googlebots land on your page, they crawl the entire pages and follow all DoFollow links. If you don’t link to other pages on your website, that’s where the website crawl ends. Deeper pages on your website might not be crawled for weeks, maybe even months. Interlinking also helps spread the link juices you’ve earned throughout your website. When you get a dofollow link, the Googlebots go to your site and start crawling it and give the page link juice. However, when you link to other pages of your site, the bot will crawl those, spreading the power of the link to them as well. There are many ways of interlinking on your website. The most common way is to add links within the content of a blog post. This is a great way to have all of your blog pages crawled real quickly. However, blog pages are typically deeper on your website so you’ll need to do more than just that. If you want your blog crawled quickly, you can add a section on your homepage/in a sidebar that displays your latest blog posts. There’s a simple piece of code that loops through and checks for the most recent blogs posts and show them on the page. It’s a great way to get some of these blog posts shown on more landed on pages to get the indexed faster and crawled more frequently. Most websites are more than just a blog. That’s where having drop down nav bars and sidebars is a great idea. A drop down nav bar allows you have deeper pages on your website within the navigation. That means they’ll be crawled more frequently. Sidebars are sections found on the side of the website. These can have related pages, relevant blog posts or links to your contact/reviews page. It’s an easy way to get deeper pages crawled more frequently. Sometimes you link out to a website that shuts down or they get rid of the page you’re linking to. Now what do you do? Your website is linking to a 404 error. This error means that the page isn’t found and linking to them could cause your page rankings to fall. You’re going to want to find new links to link out to immediately! If you have a large website with many blog posts, you’re not going to want to manually check all of these pages for broken links. How do you go about finding broken links on larger websites? There are many tools online that crawl your entire website and make sure that all of the links on your website don’t return any errors. If you’re not comfortable checking your website for link errors, contact an SEO agency to check your website’s links. An even greater problem is if you change the URL or remove a page on your website. If you’re interlinking throughout your website, those links will return a 404 error. Not to mention that when a Googlebot crawls your website, they’re going to find a 404 on your website. This will definitely hurt your websites organic rankings. This problem, however, has a very easy solution that isn’t time consuming. You’ll want to redirect the old page to a new page on your website that has similar content. That means when the Googlebots crawl your website, any instance of the old URL will take them to a new page. There are two ways to check for 404 errors on your own website. The first would be using a program like Screaming Frog. They crawl your entire website and make sure that there aren’t any errors. Sometimes, Screaming Frog misses deeper, not often crawled pages so you may want to do a site search. This is a search in Google that looks like this: “site:[your URL]”. This displays all indexed page from your website. While you’ll have to manually check each page, it’s the one surefire way to find all broken pages on your website. Once you’ve found all of your broken pages, you’ll want to redirect them to relevant pages on your website. There are simple redirect plugins on WordPress that allow you to redirect unlimited amount of old URLs very easily. Link Building is Powerful Tool – Make Sure You Do It Right! As you can tell, link building is an incredibly important part of SEO and getting your website to rank organically. When it’s not done properly or at all, your website will suffer. This guide will give you all of the information you need to know about how to build backlinks, what strategies to do/not do and how to maintain the domain on your own website. Link building isn’t something you work on for 3-6 months and call it quits, thinking you have enough links to last a lifetime. It’s a constant process that requires you to build links continuously. When a website stays stagnant with link building, your website could start to see a dip in rankings. If you can’t dedicate the time and energy to link building and other SEO efforts, you need to seek out an agency. SoMe Connect strives to build you a strong link profile in order to help your website rank well organically. We’re also transparent with our efforts through the entire engagement by offering monthly reports showing everything we’ve done for you. We also make sure that we avoid black hat strategies and putting your website at risk of penalties. While they may work in the short term, we want your website to see continued success for years. Contact us now for an SEO audit and see what SoMe Connect can do for you.